Can we convince young people to enjoy failure as much as they enjoy play? Can we teach them that the two are inseparable travel-mates on the path to success? “Pick Up Sticks: How One Toy Became a Space-Exploration Robot”—my latest article appearing in the April 2018 issue of Muse—confronts these very questions. Like all scientists, the NASA engineers and researchers I interviewed dealt with failure throughout their project development. Turning a baby toy into a cutting-edge, all-new type of intelligent, supple, muscular robot able to shake, rattle, and roll across unknown surfaces on the planets and moons on the fringe of our Solar System is no easy task. Trials and errors are practically programmed into the experience. But lead investigator Vytas SunSpiral and lead AI programmer Adrian Agogino did not shy away from failure. Whenever a motor or sensor failed, whenever the SuperBall Bot fumbled an obstacle course, whenever a computer simulation warned that what they sought was impossible, SunSpiral and Agogino celebrated. For them, a flub was a chance to ask more questions. A chance to learn. A chance to grow. As they see it, the entire scientific process is a chance to play—get creative with problem-solving, think upside-down thoughts, tinker, toy, enjoy, and take lightly the darkest moments. I dunno about you, but I did not have this kind of relationship to failure when I was growing up. I avoided failure. Dreaded it. Worked tirelessly to prevent it. Contained my whole existence in a kind of scalding, suffocating steam-press just so failure’s wrinkles might never arise. No matter how supportive and praising my personal circles, I was convinced that if I failed to any degree I would be a blight. A disgrace. To myself. To my friends. To my parents. To anyone. And I know I was not unique in this regard. Other children I grew up with shared this revulsion. Kids and young people I work with now exhibit the same anemone’d response to failure’s shark-like shadow. How did I (or any of us) acquire this skewed view of reality? Probably the same way a mind turns intractable on monsters under the bed. The more salient question is how can we reverse the paradigm and make failure fun? Can we make it a tantalizing outcome—an alien world begging for exploration? Purchase Muse online or check your local library for the latest issue! In honor of the National Parks Service Centennial, my latest article, “Striking a Balance,” appears in the May/June issue of Cobblestone magazine! For a century, the Parks have teetered on a tightrope slung between the demands of sharing their natural splendors with millions of visitors and protecting those treasures from the daily wear and tear. To root out potential solutions and a path to the NPS’s bicentennial celebration, readers get to know Valerie Gohlke, a long-time Park Ranger, who has faced the geyser towers of Yellowstone and the cyclone of bats Carlsbad Caverns! Check with your local library for the latest issue of Cobblestone, or go online to order: http://shop.cricketmedia.com/Cobblestone-Magazine-May-June-2016.html. Hip-hip-hooray! Hip-hip-hooray! I am so tickled to share this good news with the world: a writer I helped with a story not only landed the piece in a major publication, but also recently garnered a lot of press coverage! 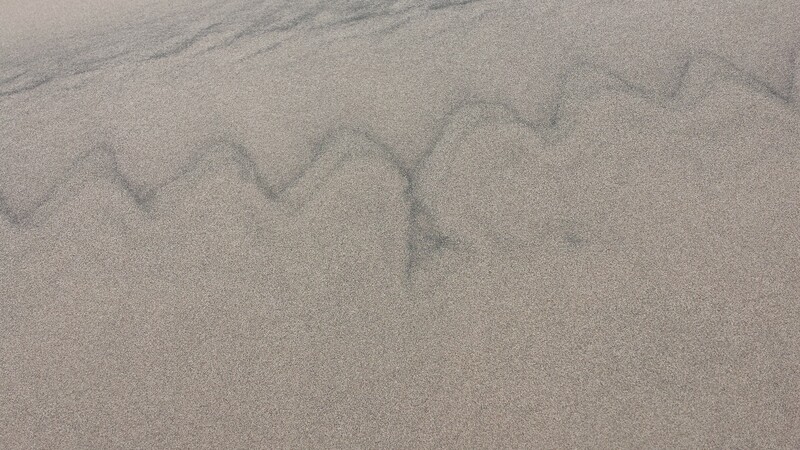 Blood relations aside, in the 2+ years I’ve spent working as a for-hire critiquer, I have helped many other artists reach beyond their expectations — like the wind that helps the sand dunes write in perfect cursive. I love when a fellow writer asks me to breathe a bit of fresh life into their project. I helped one writer go through a grueling round of revisions on her children’s biography on Ravi Shankar. She submitted the work and landed a 5-book deal! Another writer hired me to help him make sense of an odd little short story. He e-pubbed the reworked tale on Amazon and quickly soared to the #5 spot in his category! Just two out of many success stories. I truly believe I have stumbled upon the most rewarding way to share my expertise and passion for storytelling. (And that’s saying something, because I also teach graduate workshops online, which is also hugely rewarding work!) I have met so many outstanding artists with the talent and tenacity needed to make it. All they lacked was that extra puff of air in their sails to get them going or get them over the finish line! If your project needs some fresh air, let me know! I am more than happy to help and always delighted to catapult the confetti your way when fate taps your shoulder.